When you started your business, you had hopes and dreams that you wanted to fullfill. As time went on, the realities of running a business may have proven to be more challenging than you originally believed. You may be feeling overwhelmed, you might be trying to get a positive work/life balance, or you might be facing a crossroads in your business. A successful company creates a tangible legacy for the business owner. If you are looking to make your company more successful while maintaining your independence and creativity, hiring a Certified Business Coach could help you grow your business at the pace and direction you choose. A Certified Business Coach could be the source of support and guidance that could make all the difference in the future success of your business. The Black Belt Business Advisors Business Coaching Solution begins with a detailed analysis of your business and a visioning exercise designed to create a mental image of your ultimate definition of success. Once the vision is created, a mission statement with a list of goals for the next 6 to 12 months is created. Specific action steps are then created with resources for support and accountability. "During a time of transition which forced me to look closer and to decide which path to take in my business, David supported me as a coach to gain clarity – a beneficial, thoughtful process I can warmly recommend. David helped me to focus and to recognize blind spots. Thank you." "I was really impressed by David's skills and knowledge the first time I met him. My business was new at sales and I had never done sales development or leadership before. I engaged him to guide me and my staff through the problems associated with developing and implementing a focused sales approach. He has been a real asset to me and my team." Daniel Ottenheimer, President, Oakson, Inc.
Certified Business Coach David Lopez has the experience, education, and skill sets to help you progress to the next level of success for your business. 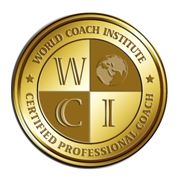 He earned his Certified Business Coach designation from World Coach Institute. He has an MBA in Entrepreneurship from Suffolk University. He teaches Entrepreneurship and Small Business Management courses at Babson College and Suffolk University. He is a former Certified SCORE Counselor and a Babson College Summer Venture Program Advisor. Coach David Lopez understands what you are trying to accomplish and genuinely cares about helping you to create the business of your dreams. 4 60 minute weeking coaching sessions per month via Skype, Google Hangouts, or phone. $995 per month with a 3 month minimum. The total for a 3 month coaching package is $2,985.00. This includes any forms and tools beneficial towards your success and unlimited email support. This offer includes a money back guarantee at anytime for a full refund of any unused coaching sessions. 1 60 minute monthly coaching session via Skype, Google Hangouts, or phone. $250.00 per month with a 6 month minimum. The total for a 6 month coaching package is $1,500.00. This includes any forms and tools beneficial towards your success and unlimited email support. This offer includes a money back guarantee at anytime for a full refund of any unused coaching sessions. To learn more about the Black Belt Business Advisors Business Coaching Solution, please email us to schedule a complimentary 30 minute discovery session with Certified Business Coach David Lopez.